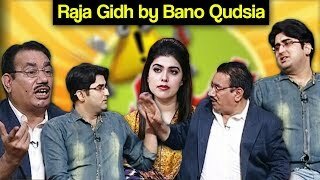 Khabardar Aftab Iqbal 25 Aug 2017 - Raja Gidh by Bano Qudsia Express NewsAll latest happenings on Panama Case, Dawn Leaks, Maryam Nawaz, Imran Khan, Raheel Sharif, Nawaz Sharif, Qamar Javed Bajwaa, DG ISPR General Asif Ghafoor and best analysis of Mansoor Ali Khan, Javed Chaudhry and Gharidah Farooqi at one placeThe official channel for Express News. to find out the latest news and updates, the best talk shows and lifestyle programs and constant a live news feed. Its affiliates include Express News, Express Entertainment, Express Tribune, Daily Express and is owned by The Express Media Group.